Co-writing and building relationships with more experienced writers is one of the best ways to grow as a songwriter, says British singer-songwriter Jake Bugg. He topped the UK album chart in 2012 with his platinum-selling debut album, Jake Bugg, which was largely co-written with established songwriters Iain Archer, Matt Prime and Crispin Hunt. Bugg has recently been working on tracks for his second studio album with legendary producer Rick Rubin. The new album will again involve collaborations with seasoned songwriters, including some of the top writers in Nashville. 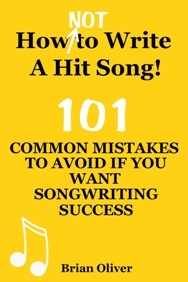 There is no doubt that collaborations can help you to learn how to write better songs much faster. Working with a co-writer with talents that complement your own can help to take you and your songs to a much higher level. As Brian Eno once put it: “Every collaboration helps you grow”. An experienced songwriting partner can also help to keep you focused. He or she may question your lyrics when you’re under-achieving, and introduce fresh ideas and new chords that may take your songs to new places. And if you’ve got a great idea for a song but you just can’t seem to finish it, an accomplished co-writer may be able to listen objectively to what you’ve got and come up with the missing link. He or she may introduce lyrical or melodic ideas that would never have occurred to you while you’re still honing your own skills. Jake Bugg’s latest single – produced by Rick Rubin – is a re-recording of the haunting song ‘Broken’ from his debut album. Bugg co-wrote the track with Crispin Hunt.